Tsuta Japanese Soba Noodles opened it’s first branch in the Philippines at the UG/F of Bonifacio High Street Central. FOODEE Global Concepts is the Philippine master franchise holder, they also run Mesa, Tim Ho Wan, Foo’d and other restaurants. 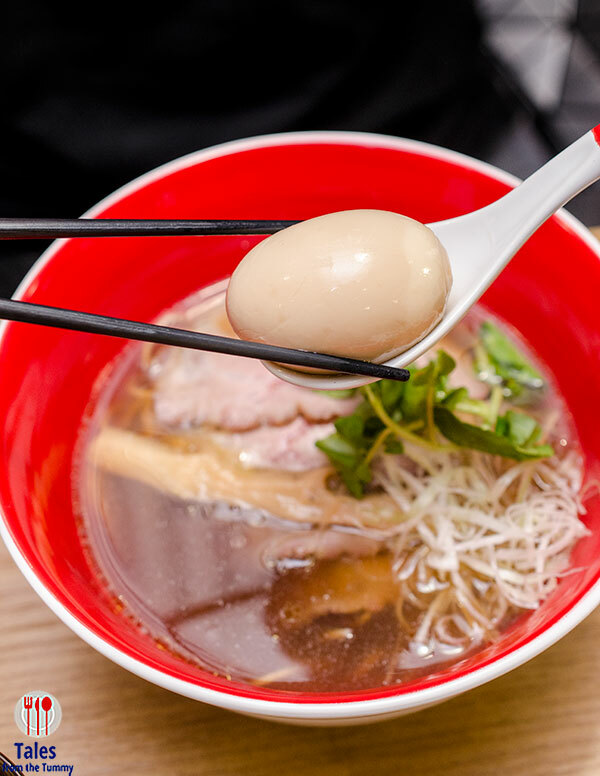 Tsuta is the first ramen shop in the world to be awarded a Michelin star for 2015, 2016, 2017, and 2018. 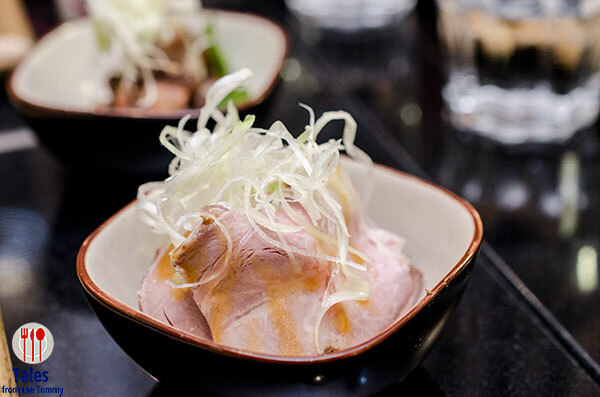 Their menu is compact with three different broths (shio, shoyu, miso) and a handful of side dishes. Tsuta uses a base broth blend made from asari clam broth, fish broth and chicken stock. Here’s what we tried and what our thoughts are. Ro-su Charsiu (P100), roasted charsiu with butter sauce topped with leeks and watercress. We found this on the bland side even with the butter sauce, felt like a deli cold cut. 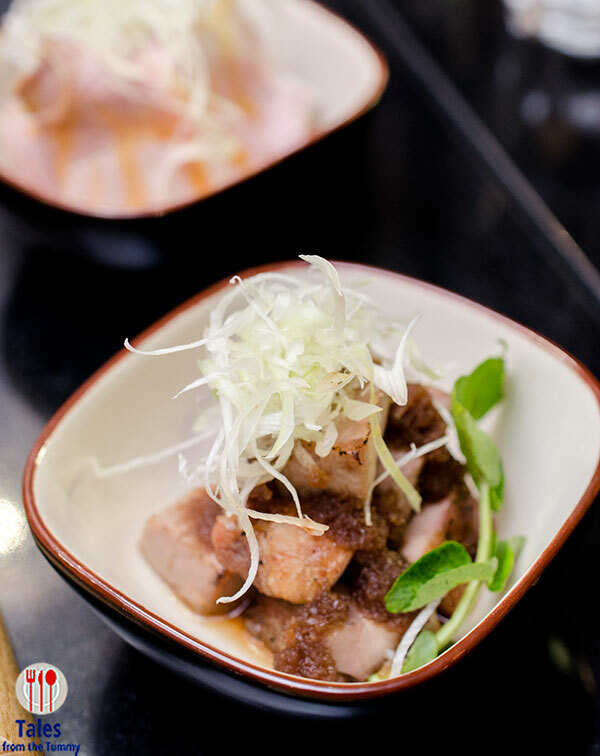 Aburi Niku (P130), charred pork cubes with onion sauce topped with leeks and watercress. We really enjoyed this side dish, the pork cubes were fragrant and tasty, something similar to lechon but different with the onion sauce added a mild sweetness. Irene got a bowl of the Char Siu Ajitama Shoyu Soba (P620). This noodle bowl has 4 slices of char siu, egg, bamboo shoots, leeks and truffled pureed in truffle oil. It’s interesting to see truffle used in a bowl of Japanese noodles but the flavor was light. The broth itself will delight those people who find usual ramen bowls to be too heavy with the use of tonkotsu broths. 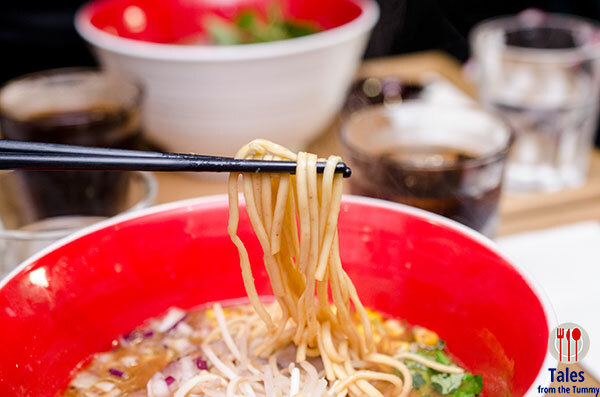 The soba noodles are made on site with wholewheat and whole grain flours. The noodles were flat in shape but had a good bite that was just to our liking. 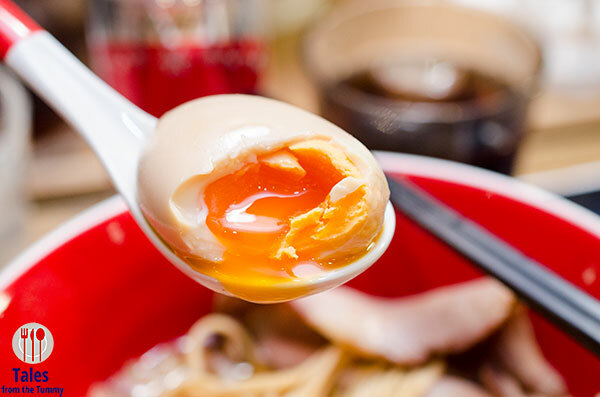 The ajitama was perfectly cooked with that beautiful golden yolk flowing out as you take a bite. My order was the Char Siu Miso Soba (P580) with char siu, early red onion, corn, beansprouts, hot sauce, porcini mushroom oil and watercress. The miso broth is much richer than the shoyu but still lighter than the usual stuff. 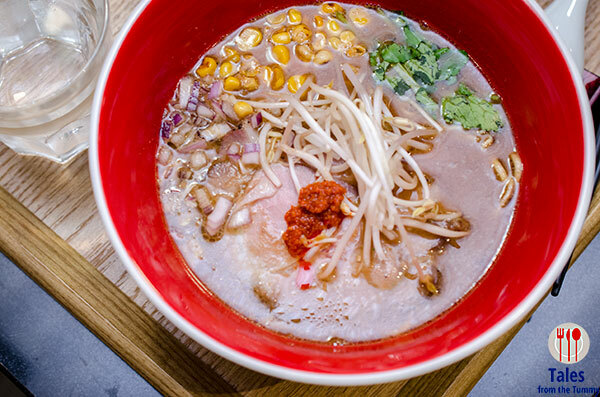 I loved that the corn were torched so it added a surprising layer of smokiness to the broth while the hot sauce was just enough to give it a kick. I’d skip the red onions next time. I was trying to look for the porcini mushroom flavor but it was masked by the strong miso and hot sauce flavors. The ramen are not bad, all broths are on the light side so people expecting the collagen heavy stuff will be disappointed. I also feel the hype of the Michelin star will put undue expectations even before stepping through the doors. Have you tried Tsuta, what are your thoughts?